September 28, 2015, 1:43 p.m.
Stephen Hawking has described the search for extra-terrestrial life as "the most exciting quest in 21st-century science" and backed a new project, the Breakthrough Initiative, the biggest effort yet to search for alien intelligence. Our total lack of evidence for intelligent life contradicts the incredibly low chance that ours is the only planet where it exists in the 1,000,000,000,000,000,000,000,000 planet universe, a problem knows as the &apos;Fermi Paradox&apos;. 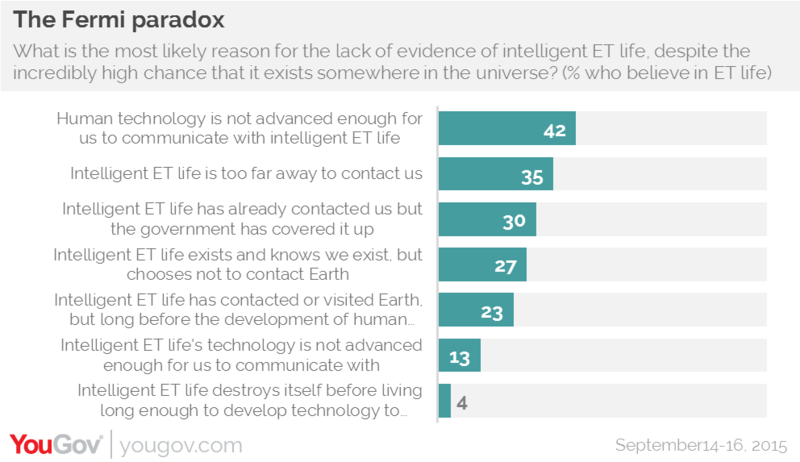 Among Americans who believe in extra-terrestrial life, backwards human technology (42%) is the reason why we have not contacted other intelligent life forms. 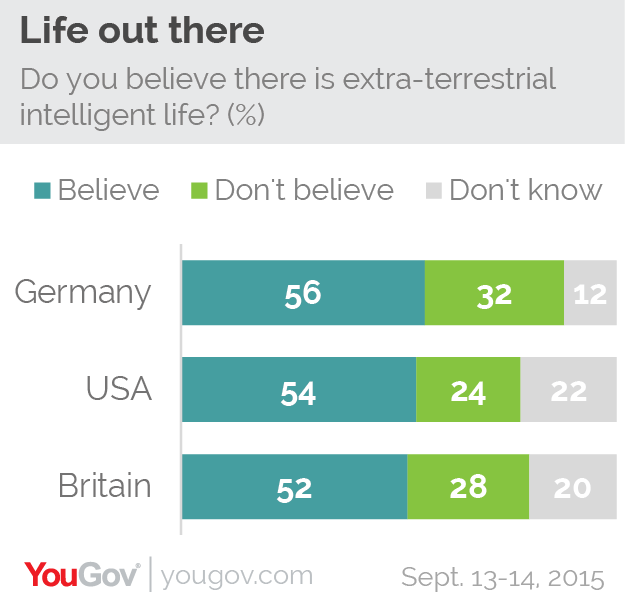 The question still remains of whether it&apos;s a good idea to even try to contact alien life – Hollywood at least would suggest it probably is not. Americans tend to say we should send a digital message describing life on earth to other civilisations, however, (43% say we should, 31% say we should not) and again men (48%) are more keen on the idea than women (39%).